Supports two simultaneous voice or data paths in digital Time-Division Multiple-Access (TDMA) mode. Doubles the number of users you can have on a single licensed 12.5 kHz channel. Operates in analogue or digital mode —bright, clear, colored LEDs indicate mode. Monitor and manage repeater via the the optional diagnostic and control utility. 100% continuous full duty cycle at high power. 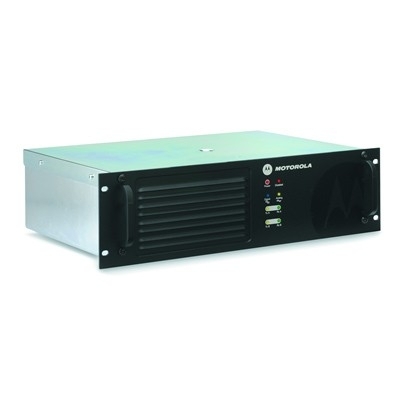 Rack or wallmountable; desktop housing also available.